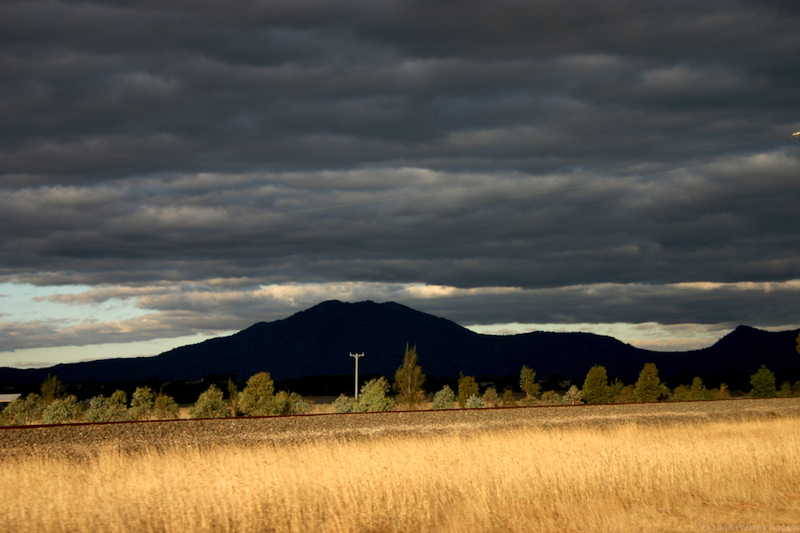 Taken at around 100 kmph on our way back from the Grampians. wow! really good picture..reminds me of the drive back from Ballarat..train tracks on the left and rolling hills behind it..
That’s really nice. And I’m positive it’s not my glossy screen that’s making it look better. wow! Totally love the contrast in this, and the silhouetted sandwiched mountain! Brilliant! Brilliant is quite right, taken at such speeds!! Reminds me of old western movie scenes (with an electric pole :P) Looks really good!! Good to know you all liked this one. This photo (like most that I post) has very minimal editing and the landscape was exactly how it looks in the picture. Made for an amazing drive. nice pic. it looks more like a painting… specially the way the backdrop of the mountains came out.